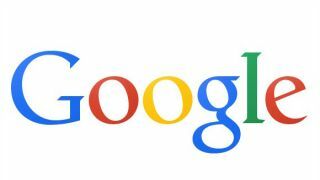 The unimaginable has finally come to pass: Google has altered its iconic logo. OK, the change isn't that dramatic. But this is a noticeable, flattened redesign that will no doubt have some drawing comparisons to another steamrolled kid on the block. Like the new, more colorful icons in Apple's just-released iOS 7 update, Google's new logo is flat as a pancake, with all shades and lines that gave the illusion of 3D erased. What's left is something that looks decidedly more "with the times," as the kids say, and matches some of the other changes Google outlined today in a blog post. The new Google logo matches one that popped up nearly a week ago, and closely follows the new Yahoo logo off the drawing board. "As part of this design, we've also refined the color palette and letter shapes of the Google logo," Google tech lead/manager Eddie Kessler wrote on Google's blog this afternoon. Today Google also introduced an updated Google menu bar "that streamlines your experience across products and devices." It involves a new button at the top of the Google search page (as well as on Android devices and Chromebooks) that grants access to every Google service, from Gmail and Youtube to Calendar and Maps, at a click. Kessler wrote that this update, including the new Google logo, will roll out to "most Google products over the next few weeks." It's official: Google's next version of Android will be called KitKat.